We don’t do the testing to find out. Public uproar over lead poisoning in children due to the ongoing water crisis in Flint, Michigan, has dominated the news cycle this winter. The deck was already stacked against kids growing up in Flint. And due to a decision by the city’s emergency manager to start using the Flint River as a municipal water source in April 2014, there has been a dramatic increase in the number of children who will be living with the effects of lead toxicity from tainted water. Lead contamination in Flint’s water is a true public health emergency, and there are still no clear solutions. 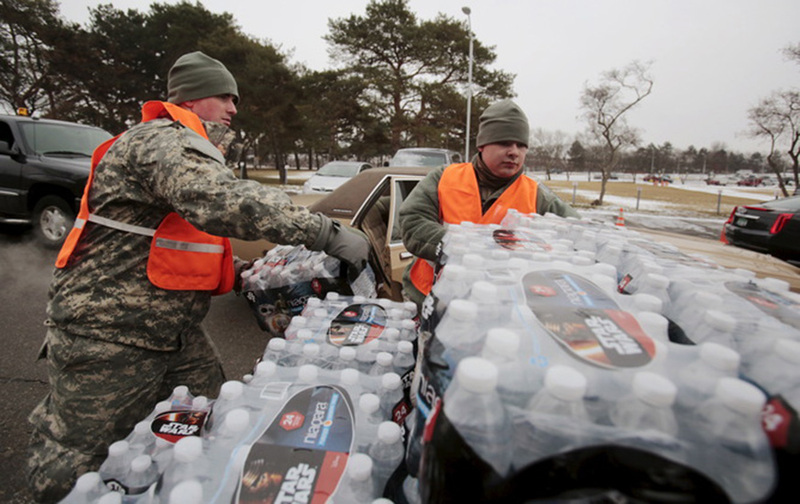 But is Flint an anomaly, or does it sound the alarm to a much bigger, systemic lead problem? The unfolding story in Flint has left people across the country wondering if lead poisoning is a problem in their own community. As primary care doctors, we wanted to understand how widespread lead poisoning is in America. What we learned was surprising. It’s very hard – if not impossible – to find out how widespread this problem is in the United States today. Work by Dr. Mona Hanna-Attisha, the pediatrician in Flint who initially called attention to this issue, found that the number of children with blood lead levels greater than five micrograms per deciliter doubled since Flint switched its water source. That level is the Centers for Disease Control and Prevention’s (CDC) cutoff for elevated blood lead levels. To figure out if Flint is an outlier or representative of a broader problem, we need to find out which communities in the U.S. also have many children with elevated blood lead levels. That means we need to compare pediatric lead toxicity between communities across the entire country. Unfortunately, this is not as straightforward as one might think. In fact, we learned it’s not even feasible to do, because lead screening and reporting guidelines vary by state, and rates of lead screening across states are dramatically different. In some cases, the data just aren’t available. We can estimate the rates of lead testing across the nation, though. To do this, we aggregated publicly available data from the CDC and individual state Department of Health websites. We took the number of children screened in the most recent year available and divided by the total population of children under six in each state. However, this means that in some states the percentage of children who were screened for lead may be underestimated (i.e., a child may have been tested for lead in an earlier year and not tested again). As you can see in the map below, rates of lead testing vary quite a bit. For example, in Massachusetts, all children must be tested twice before age three. Children living in high-risk neighborhoods are tested again at age four. With this legal mandate, Massachusetts has the highest rate of pediatric lead screening in the country, with 47 percent of children under six years old screened in 2014. Similar to Massachusetts, 17 other states require all children to have blood lead testing done before age six. By contrast, less than five percent of children under age six were screened in Kentucky in 2014. Kentucky requires only “at-risk" children, including those eligible for Medicaid, those living in certain zip codes or those who meet high-risk criteria based on a lead paint exposure questionnaire, be screened. Kentucky is one of 27 states that use a targeted blood lead screening strategy. In all, 44 states either require that all kids be tested or use targeted screening protocols. Other states have no formal screening protocol at all. However, looking at both CDC data and state health department sources, we could find data about blood level testing for only 35 states. Fifteen states – including those that require testing of some kind and those that don’t – don’t publicly report these data. Lead toxicity is likely not an emergency in most communities, but we don’t really know. Wide variation in screening guidelines and dismally low pediatric lead screening rates at the state and national level likely mask the true distribution of lead toxicity in the U.S. that is actually happening at the community level. Based on the data we have, it is difficult to tell if the rate of lead toxicity in Flint represents a true outlier, or if other communities are quietly struggling with lead epidemics of similar magnitude. Water testing isn’t routine. Faucet image via www.shutterstock.com. Targeted lead screening protocols are different in every state, but they uniformly recommend testing children who are at high risk for exposure to lead paint products – usually low-income children living in older homes with peeling paint. Although lead paint was banned in 1978, lead paint used in homes built before this regulation went into effect is known to pose a lead poisoning risk to children. When testing identifies a child with an elevated blood lead level, EPA and state protocols recommend a home lead hazard assessment which usually focuses on exposure to lead paint. If lead paint is detected, steps for lead paint removal in the home are recommended. At this point in time, there is no governmental recommendation to routinely check for lead-contaminated water when a child is found to have an elevated blood lead level. If lead is contaminating the drinking water in communities outside of Flint, we might not be catching kids with lead poisoning from the water because our current targeted lead screening protocols do not consider water to be a risk. By focusing mostly on lead paint exposure, we miss possible lead exposure associated with water source contamination. Flint is only one of many postindustrial cities with an outdated network of lead water pipes. The water crisis in Flint has taught us that confirming water safety at the treatment plant does not necessarily ensure safe water in the homes of our patients. We don’t routinely collect water lead levels in homes of children who have elevated blood lead levels, so we don’t know if lead contaminated drinking water is part of the reason why their lead levels are high. A first step toward a better understanding of lead poisoning in the U.S. is for states to promote adherence to their current lead screening guidelines. Then when a child with elevated blood lead levels is identified, states should require home water lead level data be collected and reported to the state. 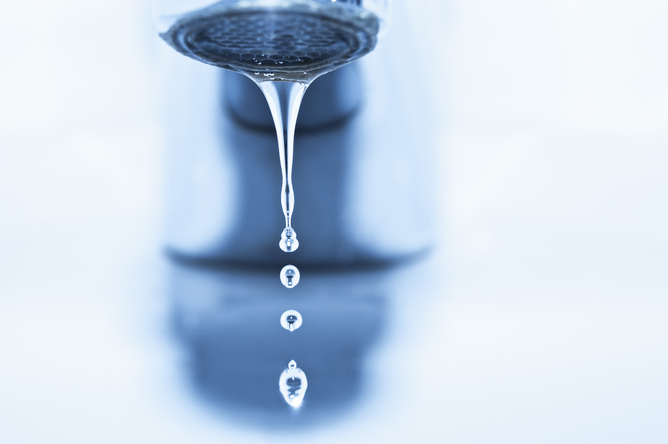 If elevated home water lead levels are in fact contributing to lead poisoning in other communities, besides removing the source of the lead, it will be important for states to retool their targeted screening protocols to better address water as a potential lead poisoning risk factor. The tragedy in Flint was human-made. It is time to reexamine our policies and practices around lead exposure so that what happened in Flint is an isolated incident rather than a harbinger of more preventable tragedies that may be silently unfolding across the country right now.